In the medical world, code blue describes a situation where the patient’s respiration comes to a stop. Therefore, code blue means the patient needs immediate medical attention, including resuscitation. This typically occurs when the patient suffers a heart attack. The medical supply cart used in these types of situations are called code blue crash carts. What are Code Blue Crash Carts? 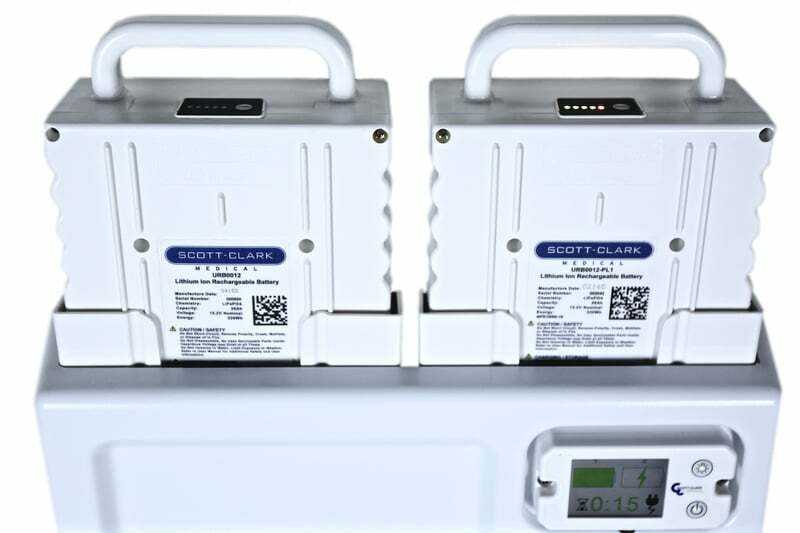 They are stocked, secured, and located throughout the hospital allowing the team to have instant access to the necessary medical equipment and supplies needed to resuscitate a patient. The contents in and on the cart may vary from hospital to hospital but commonly contain the equipment and drugs needed to treat a patient in or advancing toward cardiac arrest. 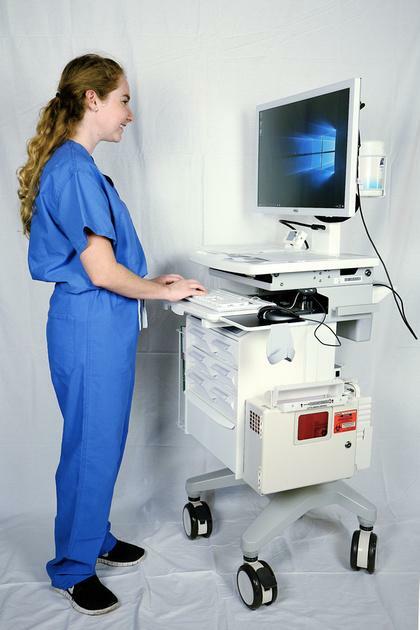 The shape and size of a code blue crash cart may also vary, but almost all will be waist or chest high with wheels and many drawers. Many facilities keep a heart monitor and defibrillator on top, as these tools are used the most in codes. When a patient is being treated, doctors and nurses need to be sure the medicine’s integrity has not been compromised in any way. Code blue crash carts achieve this by securing the contents of the drawers, using a flap or breakaway flap. This type of flap is known by several other names, such as proof of entry flap, code flap, the point of entry, and emergency flap. When a cart has been used for a code blue assignment, then naturally, the required drawers will be opened, breaking the flap, in the process. This indicates to staff members exactly which areas need to be stocked later. Different staff refills different types of drugs. For instance, the narcotic drawer must be restocked by the pharmacy department to ensure the validity of the proper medications needed for the next code blue patient. By putting a proof of entry flap on each individual drawer, it reduces the time required to determine what needs to be stocked. Who Should Have Crash Carts? Crash carts were initially used in hospitals where cardiac care was needed. However, all medical institutions that have in-house patients such as assisted living homes and extended care facilities should have a code blue crash cart. Advanced cardiac drugs such as atropine, lidocaine, dopamine, and vasopressin. Defibrillators and monitors, valve masks and suction equipment. The First line of defense drugs such as dextrose, adenosine, midazolam, and diazepam. Pediatric accessories such as intubation equipment. Needles of various types and sizes. The contents, shape, and size of blue crash carts may vary between different departments within the same hospital. Depending on the type of facility, some may need pediatric crash carts. For example, many hospital emergency rooms have a separate area to handle pediatric traumas . In this case, a separate pediatric blue crash cart is used. In other cases, the blue crash carts may be stocked with supplies for both adult and pediatric codes. In a crash cart that also contains pediatric medications, the medications will usually be stored in the second drawer. In both cases, the blue crash carts will usually have the same contents. However, in a pediatric crash cart, the equipment and medication dosages will vary. For example, medications for pediatrics but not in adult carts often include Atropine (0.5 mg) and Sodium Bicarbonate (10 m/eq/10 ml syringe). Pediatric carts need different equipment also such as a pediatric IV kit. There is perhaps no other field that is controlled and regulated so closely as the medical profession. The Joint Commission, Division of Health Care Improvement has set clear guidelines, regarding the use and operation of code blue crash carts.